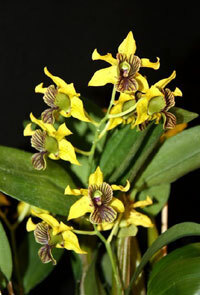 Dendrobium Little Andree is an orchid hybrid originated by H & R in 2011. It is a cross of Den. normanbyense x Den. convolutum. 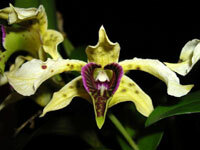 It is considered a "primary hybrid" because it is a cross between two species. Excellent job posting the cross & explaining the term primary hybrid!! Cool! Now how do you grow it? Is there a dry period, stop fertilizing, full sun or shade?